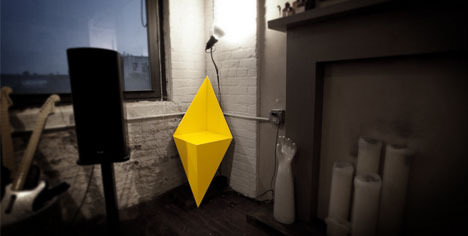 A single symbol-worthy shape constructed from plywood is as multi-functional as it is multi-dimensional. It becomes a seat (or low shelf) when set into a right-angled corner, a little negative-space bookcase and side table when tipped over on the floor, then a hybrid coffee table when joined with another of its kind. 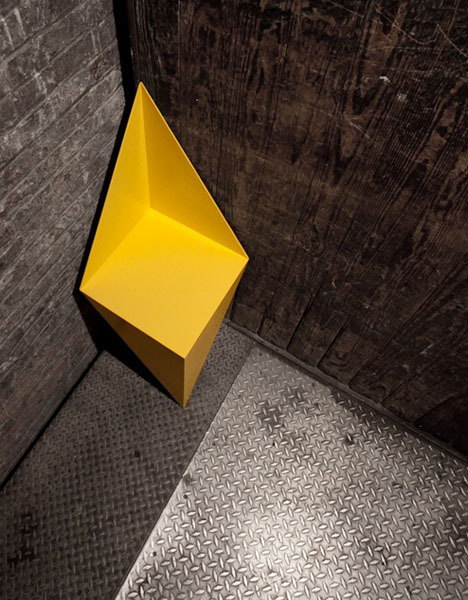 Black and yellow make it bold against these contexts, but one could equally well disappear these into the background by blending them with surrounding materials (like wood if the ply were left unfinished), white walls or colorfully-painted surfaces. 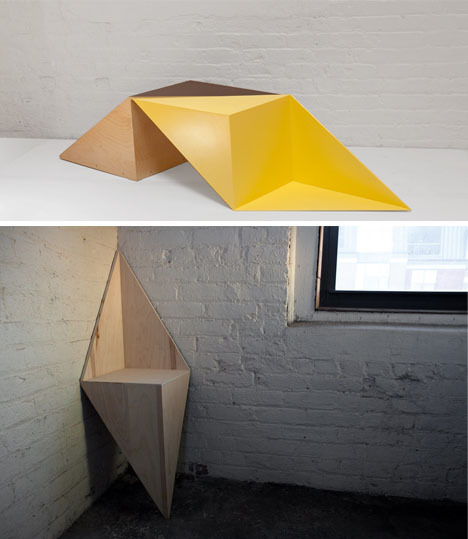 “When upright in a corner, LEAN is a chair that gains structural support from its adjacent walls. 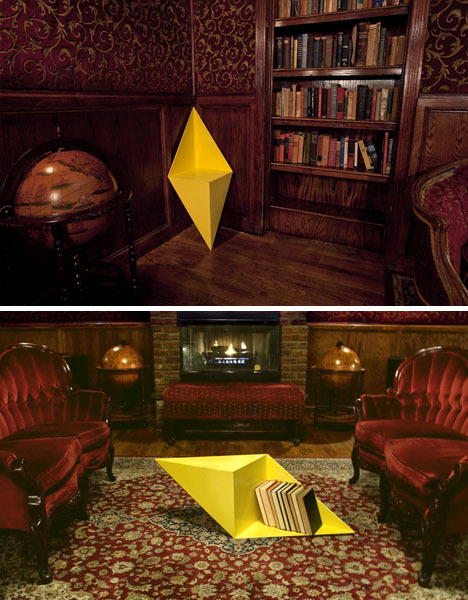 Set on its side, it becomes a coffee table with negative spaces for books and magazines. 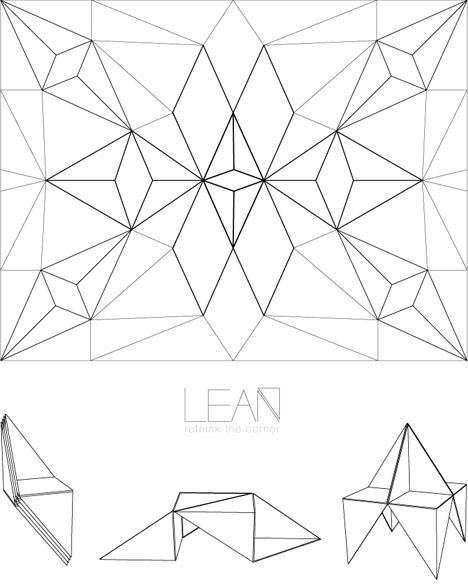 Fabricated in plywood, LEAN comes in a two-tone color which reinforces its geometric shape. In metal, the thin sheets combine durability with elegance."